We all make mistakes. If you have a bad credit at this time, the first thing you should know is that there are steps to fix it, credit repair is not difficult, having a trusted company to handle credit repair would be the best option. To get started you will be required to have credit monitoring directly from the Credit Bureaus and no 3rd monitoring service. You must have a copy of current copy Government ID (with current address you are living at) and Security Card. The first step to take to repair credit is to verify the information found in your credit report. Find out what is in your report, i.e the top three credit bureaus: TransUnion, Equifax and Experian. You must have Equifax Complete Monitoring service up for at least 90 days, which gives you daily updates on your Equifax file. For TransUnion and Experian you would receive your results via email or mail. After obtaining your report and credit score, you must verify the accuracy of the information found in each report. Many users have reported that their bad credit have at least one error: a debt that had already paid in full appears as unpaid, the amounts applied for a loan are incorrect and even credits that had never requested (whether due to fraud or error). Therefore, it is important that you check your credit report and solutions for these errors. It is also important to know your credit score. This will enable you to know what state it is. This number i in your credit report is important because this way you can determine if your effort to repair your credit is running. You must know exactly negative items you want us to work on, which you list on the form that we will provide for you. If you need assistance with what you need to remove, we can help you locate that. We rectify all negatives at a go without dragging on the process, just collect a monthly from you. We charge per deletion per item per bureau, under the pricing for the service. We do not charge any setup fees or upfront fees at all.You will start to see results within the first 30 days. If you had credit worked on before it could take longer, because we don’t know the level of work the last person had on your credit. Note: We also work on TransUnion Credit Inquiry Removal and service you would be required to have TransUnion Credit Monitoring Service. We only touch inquiries that have declined and nothing with Open account. 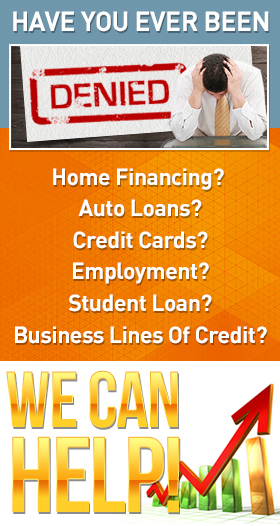 FixthatCreditScore.com has helped thousands of customers back on their feet after the devastating financial issues. Late payments, bankruptcies, foreclosures, charge offs, Any Liens and collections can ruin your credit for seven years or more. Congratulations on taking the necessary steps to repair your credit. With our guide you can have a good credit again.